KARACHI: “I have never met Imran Khan in my life, but I am his supporter, his comrade, his party’s candidate. His ideology and manifesto, I am convinced, can save Pakistan. Just, please, could he meet me once? It will help motivate me in my struggle. And it will re-energise the people of Thatta,” says an earnest looking Fazlullah, a tad bit nervous as he talks to The Express Tribune. The deteriorating situation of Thatta brought him to a point where he felt he must wage a fight, if nothing else. “The whole of Thatta is like the ruins of Thatta,” says this candidate of the NA 237 constituency. Fazlullah shares his sadness over how, in the wake of the devastating floods, normally self-sufficient people were forced to beg in the streets of Thatta, with no help in sight. Like many Pakistanis who choose to stay back in Pakistan in this era of mayhem and do something to improve the status quo, Syed Fazlullah Shah, aka Nasir Shah, made a choice not to go abroad although he has visited Europe many times for business and had other options. “I can speak five languages, including German,” he says proudly. To Fazlullah, solutions to the building frustration came in the form of all what the PTI manifesto offers. “I am no political analyst but I do know that PTI has a fair chance since political space has been generated because of the previous government’s dismal performance and the people being disillusioned,” he says, adding that PTI is a great attempt at stabilising and reviving Pakistan. “The feudal and the powerful don’t have patent rights over this country! The average man can get up and take charge, like me,” he says. In a community where power is passed on as a legacy and new faces are not welcome, especially those from non-political average backgrounds like Fazlullah, he has taken a big chance and invested everything into the election campaign. His direct opponents include Marvi Memon of PML-N, Syed Riaz Hussain Shah Shirazi (Shirazi group) and Sadiq Memon of PPP. Incidentally, President Zardari’s foster brother is contesting from the same area for a provincial assembly seat. Published in The Express Tribune, April 29th, 2013. Posted in In The Loop, Pakistan and tagged Elections 2013, Imran Khan, PTI. Bookmark the permalink. KARACHI: Dressed in an off-white shalwar kameez and leather chappals, he has an unmistakably humble stance coupled with a firm, almost naive resolve when he talks. 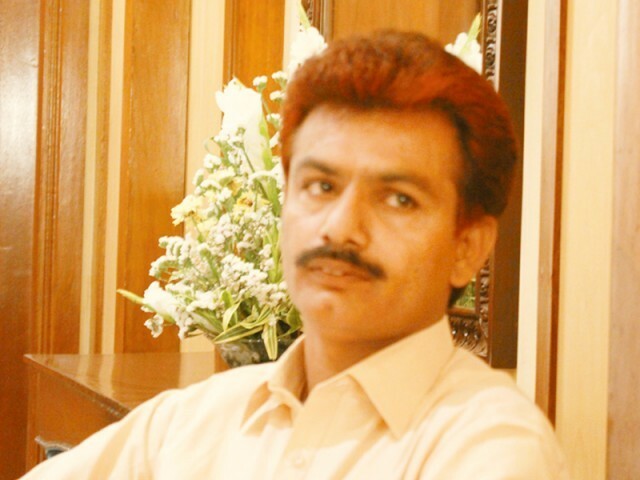 Gul Muhammad Keeriyo is PTI’s candidate from NA-213 constituency in Nawabshah (Shaheed Benazirabad district). “It all started when I saw Khan sahab’s jalsa of October 30th 2011 on television, which he held at Minar-e-Pakistan. I was convinced that very moment that this is the solution to what this nation is going through. Khan sahib sacha aadmi hai. Aadmi ka pata chal jata hai baji(Khan is an honest man; one can tell what people are inside),” says Gul, who had gone to the local PTI office the very next day and joined as a PTI worker. With hard work and encouragement from Qazi Nadeem Siddiqui, district president of PTI of the area, Gul climbed rungs and became more active in PTI till he finally got a chance at candidature. Gul, who proudly calls himself a sipahi (soldier) of Khan and calls Khan anmol heera (rare diamond), is inspired by Khan’s leading from the front approach. “Yes, I am a candidate against some big names. And what has to happen will happen. When my leader, the only brother of six sisters, can risk his life, why can’t I? I still have more males in the family to support me. It’s a risky business but dying for a cause is martyrdom,” he says, convinced. Gul’s opponents include Asif Zardari’s sister Dr Azra Fazal Pechuho of PPP, Inayat Ali Rind of MQM and Zahid Hussain of PML-F. Published in The Express Tribune, April 28th, 2013. Posted in In The Loop, Pakistan and tagged Azra Pechuho, Elections 2013, Imran Khan, PTI, Zardari's sister. Bookmark the permalink. 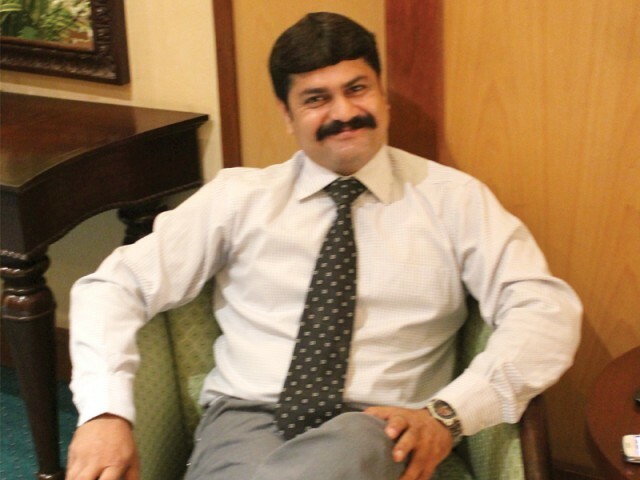 Some 27 years ago, his first pay cheque at Engro was Rs 8170. When he made a suave but much debated exit while he was CEO of the company, his pay cheques of 2011 are reported to be Rs 5.7 million a month. He was the Midas behind Engro, who took the company from mainly fertilizer manufacturing into being a giant venturing into food, energy, chemical storage and petrochemicals among others. The conglomerate diversification helped and within a span of 7 years, Engro’s revenues in 2011 had climbed up to 114 billion as compared to the 13 billion in 2004. Another feather in the cap of not just the Institute of Business Administration Karachi, this home-grown wonder-man is also a feather in the cap of Pakistan. 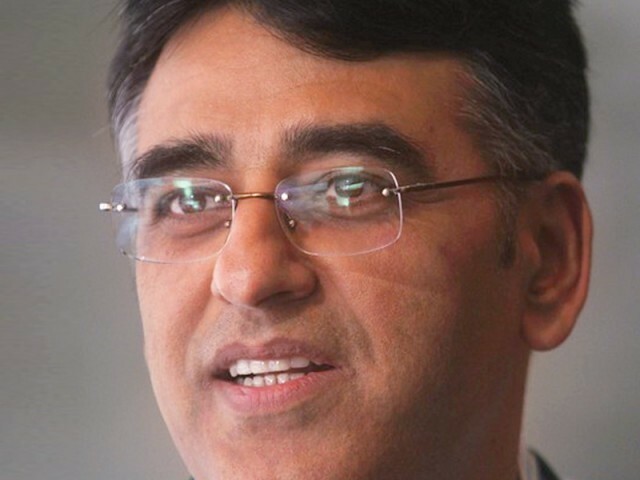 As a speaker, Asad Umar’s mettle is undisputed. He engages with the audience, has them spell bound, makes them say what he wants them to say, convinces and makes the whole experience of listening to him rewarding. And he does all this in a very humble yet in command way. He makes the GDP sound like the most interesting topic. And he does not use a display of melodrama and histrionics to achieve this. Asad Umar believes in Pakistan. And change. And for such a man, his strong sense of social responsibility being translated into political leanings was just a matter of time. But his joining PTI (Imran Khan’s Pakistan Tehreek e Insaaf) soon after he took an early retirement was both expected and unexpected. While it was expected that he would not join the other tried and tested political parties, it was unexpected that he would make a leap of faith and take a risk with Khan’s PTI, often called an idealistic spin by the intelligentsia who believe Khan cannot deliver all that he promises. But Asad Umar believes there is no other way. His “conglomerate diversification sensibilities” have made him use his own potential to the maximum. Asad Umar has entered the political realm. And his joining PTI is not just a good omen for the party but also a reason people start respecting the party more before they write it off saying the party is inducting the same tried and tested faces. Asad Umar has joined and is actively participating in PTI’s “Insaaf Professional’s Forum” (IPF) sessions. I have not joined Pakistan Tehreek e Insaaf for Imran Khan. I have my own selfish reasons. I have no foreign passports. I have no bank accounts outside Pakistan. Everything I have or own is at stake in this country. I am convinced that the status quo in this country cannot last for long now. When we look at the situation of this country, there is fear. But there is also reward. I want my two sons studying abroad to eventually WANT to come back to this country. People tell me why don’t I become just an adviser to Imran Khan. My answer is: Pick up any fundamental issue of Pakistan and the answer lies in the core political system. There is no dearth of technical advice. But that is not enough. What we need is fundamental reform. Just good governance will not be enough. We need a political party who is committed to political reform and is not sitting on top of vested interests. The first part is the correct vision. And the second part is that the vision should be grounded in correct good values. Imran Khan has both. To bring change, you have to be in power. But how you will come into power will decide whether you can bring that change or not. Building a just, peaceful and prosperous Pakistan! I keep telling Imran that we have to make tough decisions. So he recently answered back: “What could be tougher than deciding to hold a jalsa in Quetta?”. And I said no, even tougher decisions will have to be made. What PTI is trying to do is the most dramatic revolutionary scheme ever brought to Pakistan. PTI, admittedly, has a lack of diversity. Which is why the communication coming out of it also has a lack of diversity. This is not out of malice but due to human limitation. The common man has a lot of sympathy for Imran Khan. All that needs to be done now is to translate that sympathy into political change. This political party will HAVE TO go through the process of inducting new people. There is nothing less Pakistani about a man from Daadu (Sindh) than a woman from Karachi or a boy from Lahore. (On the subject of devolution of power and land reforms): Most of what people say, with sincerity of course, is what they say sitting in Karachi or any other city. The things we say is a very urban phenomenon. On ground level, visit the rural constituencies with me and understand their sensibilities. Then we’ll talk. The leader does not have a choice in whether he can displease some or not. His choice is to choose who to displease and who not to displease. Posted in In The Loop and tagged Asad Umar, Engro, Imran Khan, Insaaf Professionals Forum, IPF, Pakistan Tehreek e Insaaf, PTI. Bookmark the permalink.